Australia’s peak body for philanthropic trusts and foundations, Philanthropy Australia, has appointed a new Chief Executive Officer following the resignation of Dr Deborah Seifert after two years in the role. The Founding Director of Artsupport Australia, Louise Walsh, will take up the new appointment. Philanthropy Australia has told its members that Walshe will bring corporate, government, Not for Profit and philanthropic leadership and planning experience to the role. "Louise's deep understanding of philanthropy, the arts and the Not for Profit sector more generally, coupled with her personal passion, will provide dynamic leadership in a new era for Philanthropy Australia,” President of Philanthropy Australia Bruce Bonyhady said. “Louise is already well known to many of our members through her highly successful development of Artsupport over the past decade. This is an exciting development for Philanthropy Australia and Australian philanthropy." A former corporate lawyer with Allens Arthur Robinson, Louise has also worked on Sydney's Olympic Bid, corporate partnerships for the 2000 Olympic Games and the City of Sydney, before becoming Director of Development for the Sydney Symphony. 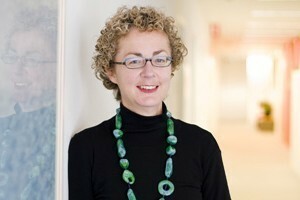 Outgoing Dr Seifert has been Chief Executive of Philanthropy Australia since October 2010. Dr Seifert was previously Head of University College at The University of Melbourne, and Head of Fintona Girls’ School. Her doctorate is in the area of Leadership. "Deborah has provided valuable leadership over the past two years, and I thank her for her many contributions and wish her all the best for the future," Bonyhady said. “As Director, Artsupport Australia since its inception 10 years ago, Louise and her team have facilitated many millions in new philanthropic support for the arts in Australia. We are delighted that she will be continuing her work in Philanthropy, albeit across a wider range of sectors, “ the CEO of the Australia Council for the Arts Kathy Keele said. Louise Walsh will take up the new role from 8 October.